BioSupply Trends Quarterly (BSTQ) is published by FFF Enterprises, the nation's leading distributor of critical-care plasma products, antihemophilic factors and preventive vaccines. BSTQ is the definitive source for industry trends, news and information for the biopharmaceuticals marketplace. With timely and critical information, each themed issue of BioSupply Trends Quarterly (BSTQ) covers topics ranging from product breakthroughs, industry insights and innovations, up-to-the-minute news on the latest clinical trials, accessibility, and service and safety concerns. Also included in each issue are in-depth profiles, informative columns, research updates, product news and valuable immune globulin and influenza vaccine resource guides. Readers also benefit from customer feedback and insight on the topics pertinent to their business. Plus, a product catalog accompanies select issues. Why Advertise in BioSupply Trends Quarterly? 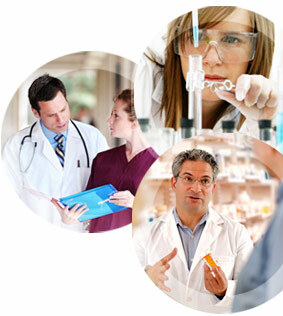 Promote your products and services to your customers - the pharmaceutical decision-makers.